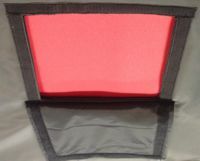 Tote heaters standard models: Strong cord exteriors - Insulated - Outdoor proof. Flexible heater materials, pliable in all temperature ranges, easy to handle, quick-release buckles for fast installing and removing. TOTE HEATER FEATURES: durable and weather proof, with a digital temperature controller. DuPont Cordura exterior - Urethane lined for water and tear resistance, PU laminated rip-stop nylon inner liner, DuPont Nomex heater construction with Silicone insulated heating elements. 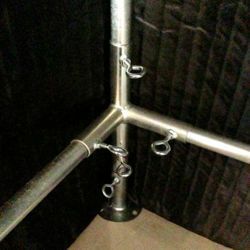 Bulk Materials Heaters wrap protection, for standard sized pallet, complete with a sturdy tube fit frame. Digital Temperature Control, LCD Display, NEMA 4X enclosure with a 10 foot Power Cord. 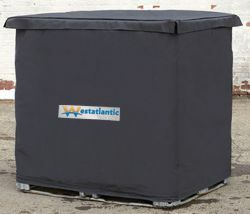 Pallet materials heater - protect construction material during cold weather construction. 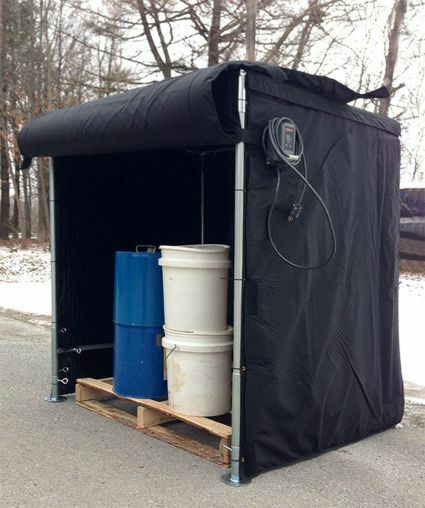 Drum Heater Wraps heat several barrels at a time - fast install - heat barrels in any location. Oven wrap heaters for (4) 55 gallon drums on a pallet. 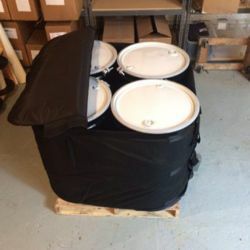 The heating jacket covers the sides of the drums and an insulated lid keeps the heat in. 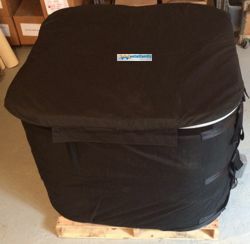 Multiple drum warming wrap ovens, very economical materials warming. WA- drum oven units are durable, temperature accurate, and weather resistant. 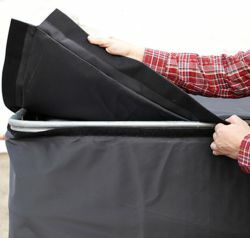 Easy to install by wrapping the jacket around the drums and drawing it snug with quick-release buckles. 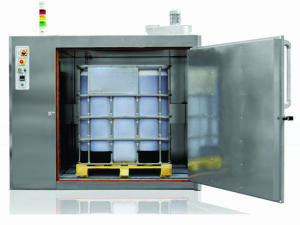 Drum ovens meet the heating - warming requirements for materials contained in drums and Totes. Materials that need to be kept at constant temperature or heated to optimum viscosity before use require industrial drum, barrel or tote ovens. 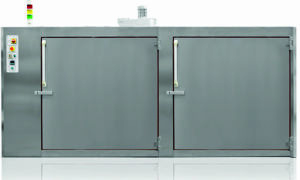 A wide range of standard drum ovens are available. Units from 4 to 48, 55 US Gallon drums and 1 to 12, 1000 liter Tote tank sizes are available. Standard working temperature up to + 150 ° C, (300 F) higher temperature zones are also available. Electrical power units are standard models custom, steam, hot water, thermal oil unit are also available. Total heat protection solutions: Barrel Heaters, Drum heaters, Tote heaters, Bucket heaters, Gas cylinder Heaters, Material heater pallet jackets, Tank heater jackets mobile, Instrumentation heaters, Pump, Valves and Manifold heaters, Concrete curing heater tarps,, Thaw blankets, Heated concrete curing covers, Band heaters, Pipe heaters, Propane tank mobile heaters, Spray foam tank heaters, 55 gal Induction heaters, Frac tank heaters, Large tank heaters, Hydraulic reservoir heaters, Petroleum tank heating, waste water tank heating. 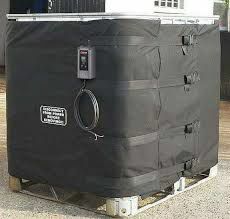 Tote Heaters, 275 gal, 330 gal construction pallet standard measures, heaters, materials warming.- USA: Texas, TX, Houston, New York, NY, Illinois, IL, North Dakota, ND, Iowa, IA, Ohio, OH, Michigan, New York, NY, Kentucky, KC, California, CA, Colorado, Denver, Louisiana, LA, Florida, FL., Pennsylvania, PA. Wisconsin, WI. Canada, Ontario, Oakville, Toronto, London, Hamilton, Mississauga. Alberta, AB; Edmonton, Fort McMurray Calgary. British Colombia, BC; Kelowna, Vancouver, Prince Rupert, Kitimat. Saskatchewan, SK; Regina, Saskatoon, Prince Albert, Estevan, Swift Current. Manitoba MB; Winnipeg, Thompson. Quebec, QC; Montreal, Quebec City, Trois-Rieviers, Chebougamau, Sherbrooke. QC, Alberta, Saskatchewan, Manitoba, Quebec, New Brunswick, NS, Newfoundland.